Children will do almost anything to get out of chores. Typical excuses run the gamut “from ‘I’ve got a stomach ache,’ to ‘I’m a kid. I shouldn’t have to do chores,'” says Mason Turner, MD, chief of psychiatry at Kaiser Permanente, San Francisco Medical Center. In fact, one survey found that 74% of parents report that their children rarely help with chores unless asked. And a full 50% of parents say they spend as much time arguing with their kids about chores as the children spend doing chores. What about you, parents? 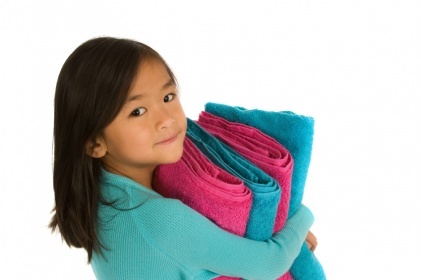 Do you have any tips that you can SHARE with us on how to get your children help with the household chores?